A recent study(¹) corroborated previously published findings(²) from 2011, showing that Cannabidiol (CBD) – the non-psychoactive compound in cannabis – targets and kills breast cancer without harming healthy cells! 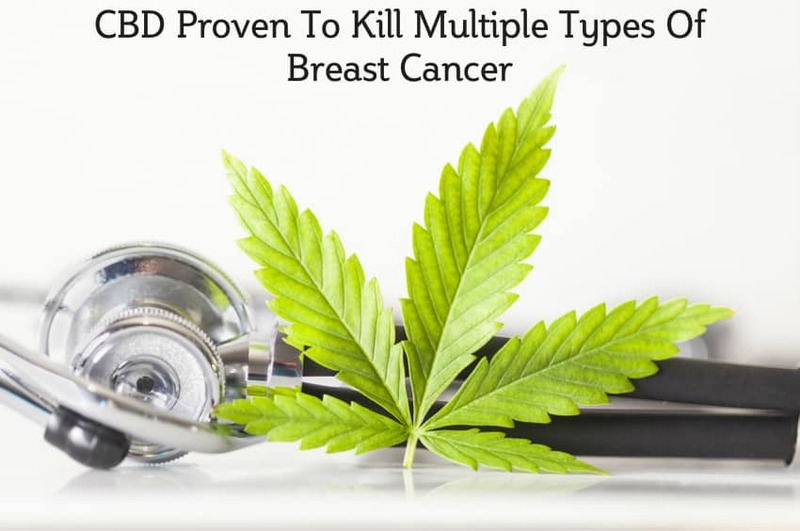 The two, separate studies sought to determine whether CBD would be useful in fighting numerous types of breast cancer including the more aggressive MDA-MB-231 (triple-negative) and SK-BR-3 (HER2), as well as the less aggressive, hormone-influenced MCF-7 and ZR-75-1 (estrogen-receptor positive). Both studies confirmed that this beneficial cannabis compound kills multiple types of breast cancer cells, prevents the breast cancer from spreading, and also helps to increase the effectiveness of traditional chemotherapy drugs. PPARƴ is a protein which prevents cancer cells from spreading, prevents tumors from growing larger, and initiates automatic cell death (known as apoptosis). mTOR is an oncogene that works against your immune system’s natural defenses, to keep cancer cells alive. AKT is a pathway in your body that allows cancer cells to grow and spread and builds your body’s resistance to chemotherapy drugs. Cyclin D1 is a protein found in all human tissue which regulates cell cycles. When cyclin D1 is switched on in old cells (known as overexpression of genes) it prevents cell death and allows damaged, cancer cells to grow. Autophagy is the process by which your body maintains healthy cells. Autophagy assists stressed cells in returning to normal. This process also kills cells that are dangerous and damaged, such as cancerous cells. Although I’m sure there are many reputable sources for CBD products, I personally buy my CBD drops from Alive Market. All Alive Market CBD products are non-GMO and organically-grown with zero pesticides. Alive Market products are grown in the United States, in Colorado. Alive Market does not till the soil, so the roots are not disturbed. This results in a better end product and also allows for natural decomposition of the previous plant, so the soil is more nutrient-dense. Alive Market CBD is what is known as a full-spectrum CBD product, meaning that it contains the entire plant and all of the 113 disease-killing cannabinoids found in hemp. Many other manufacturers tend to isolate and extract the CBD, removing important co-factors and vitamins that aid in the medicinal benefits of the hemp plant. It’s important to remember that before beginning any treatment or supplement, you should consult with your doctor. Can Autoimmune Disease Be Reversed? Find Out In This FREE Documentary Series Starting July 31! Shrivastava, A., P. M. Kuzontkoski, J. E. Groopman, and A. Prasad. “Cannabidiol Induces Programmed Cell Death in Breast Cancer Cells by Coordinating the Cross-talk between Apoptosis and Autophagy.” Molecular Cancer Therapeutics 10, no. 7 (2011): 1161-172. doi:10.1158/1535-7163.mct-10-1100. Sultan, Ahmed S., Mona A. Marie, and Salah A. Sheweita. “Novel Mechanism of Cannabidiol-induced Apoptosis in Breast Cancer Cell Lines.” The Breast 41 (June 22, 2018): 34-41. doi:10.1016/j.breast.2018.06.009. I recently received this frantic call from a distraught mother. Her 19-year-old son had been admitted to the hospital after trying to commit suicide and she didn’t want to begin the lifelong cycle of pumping him full of prescription drugs just to keep him stable. She wanted a permanent and, preferably, natural solution and didn’t know where to turn. She began searching for answers online to find out if diet could be a factor in his depression, and that’s when she found my number. As a mother, and as someone who has faced this same terrifying experience, my heart broke for her. I explained to her that I’m not a doctor and could not provide medical advice. 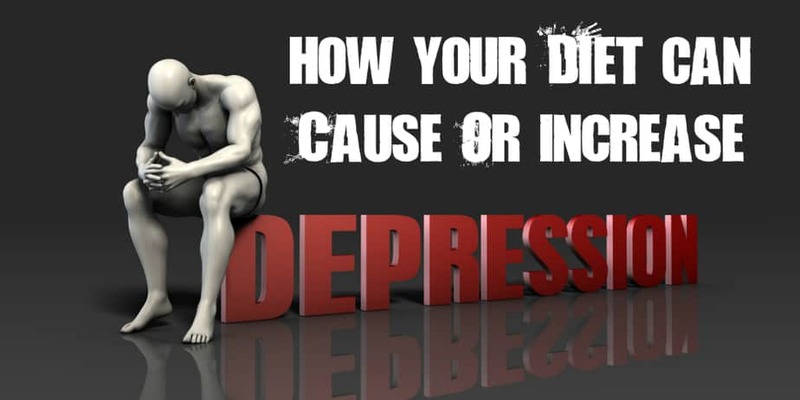 However, I was able to share some valuable information with her – research which shows that diet can absolutely contribute to underlying factors involved in cases of depression. In 1887 scientist Julius Wagner-Jauregg discovered that inflammation triggers depression. Although his discovery was scoffed at for decades, some doctors are now using anti-inflammatory substances to treat mental health disorders, including schizophrenia and bi-polar. It’s important to note, too, that many people who suffer from depression develop heart disease, autoimmune disorders, cancer, diabetes, obesity, asthma, allergies, and other health issues. The reason being that all of these health issues are related and stem from the same internal inflammation. Simple carbohydrates include all of the white stuff – white bread, white pasta, white rice, potato chips, French fries, sugar, etc.. Unlike complex carbohydrates, which provide sustained energy and are slowly absorbed in the bloodstream due to their fiber content, simple carbohydrates lack fiber, are highly processed, and are quickly absorbed in the bloodstream causing mood and energy swings. In fact, simple, refined carbs cause the same types of blood sugar spikes and crashes seen with processed, white sugar intake. The low-grade, internal inflammation is similar whether you consume something like a piece of white bread or a sugar-filled soda. Pre-prepared foods contain several pro-inflammatory substances including high levels omega-6, trans fat, and MSG. High levels of omega 6 exist in all processed, packaged, and fast food. And, although the human body needs a certain amount of omega-6, an imbalance and abundance of this fatty acid leads to inflammation in the body. In addition to directly causing inflammation, excess omega-6 prevents your body from absorbing adequate levels of omega-3 – the essential fatty acid that is proven to reduce inflammation and depression symptoms. Almost all adults and most children are deficient in omega-3 and have unhealthy and exceedingly high levels of omega-6 in their body. Another dangerous substance often found in packed and processed foods is trans fatty acid. You’ll find this pro-inflammatory ingredient listed as hydrogenated oil, and you should avoid it at all costs. MSG is chemical that is added to food to enhance flavor, and it causes inflammation. It can be found in fast food, Asian restaurant food, soy sauce, deli meats, soups, and salad dressings, among other things. Animal protein, including beef, pork, chicken, turkey, lamb, goat, mutton, horse, dairy, eggs, etc… contains numerous substances that cause inflammation and depression, including endotoxins, saturated fat, Neu5Gc, and arachidonic acid. Endotoxins are present in bacterial cells and are found in animal protein. Studies show that when circulating levels of endotoxin rise in the body, a protective response is mounted by your immune system. This autoimmune response results in internal inflammation. This explains the findings of a 2010 study revealing that within hours of being injected with this toxin, study participants developed feelings of disconnectedness and depression. The participant’s feelings were corroborated with blood tests and brain scans, which showed that inflammatory bio-markers rose in their bloodstream, and the pleasure center in their brain failed to respond to stimuli after endotoxin injection. Not coincidently, saturated fat causes endotoxin levels to rise in the body, and they are also a direct, pro-inflammatory substance. Neu5Gc is a sugar molecule that exists in all animal protein in varying amounts. Although most other mammals are able to process this molecule, the human body lost the ability to do so approximately two to three million years ago due to a mutation that occurred in our genes. Since then, the human body actually developed anti-bodies to protect you from Neu5Gc. Because it is viewed as a foreign invader by your body, when you ingest animal protein your body launches an autoimmune attack against the Neu5Gc molecules. Again, this autoimmune attack results in internal inflammation. Arachidonic acid is a naturally-occurring acid in the human body. However, when excess amounts of this acid are taken in via the diet, it causes low-grade, internal inflammation. And, unlike the animal protein sources of inflammation listed above, which are more concentrated in beef, pork, veal, lamb, and other red meat, the most abundant source of arachidonic acid is chicken according to the National Cancer Institute. There is evidence to indicate that depression itself incites pro-inflammatory biomarkers in the blood, making it difficult to escape this vicious cycle. Another cycle found in regard to depression is that of a high-fat diet’s effects on the microbiome. Harvard scientists recently reported that a high-fat diet leads to changes in gut bacteria which not only promote weight-gain, but also cause changes in the brain that incite depression. In turn, the depression and weight-gain causes low-energy and a negative self-image which often leads to consumption of more high-fat and simple-carbohydrate foods. Research shows that the consumption of whole foods, high in fiber, low in fat, and rich in phytonutrients, successfully eliminate internal inflammation, and a recent study of more than 16,000 adults confirmed that high-fiber intake reduced the symptoms of depression. There are, of course, a multitude of other factors that can cause or contribute to depression, so it’s imperative to seek the advice of a medical professional to determine whether medication is necessary or if you or a loved one are at risk of other health complications. If you or someone you know is experiencing depression and have had suicidal thoughts, call the National Suicide Prevention Lifeline immediately at 800-273-8255. Mcintyre, Roger S., MD, and Carola Rong, MD. “Where There’s Smoke, There’s Fire.” Psychiatric Times. May 31, 2018. Accessed July 11, 2018. http://www.psychiatrictimes.com/special-reports/where-theres-smoke-theres-fire. Kiecolt-Glaser, Janice K. “Stress, Food, and Inflammation: Psychoneuroimmunology and Nutrition at the Cutting Edge.” Psychosomatic Medicine 72, no. 4 (April 21, 2010): 365-69. doi:10.1097/psy.0b013e3181dbf489. Brown, Mary J., PhD. “Does Sugar Cause Inflammation in the Body?” Healthline. November 12, 2017. https://www.healthline.com/nutrition/sugar-and-inflammation. Mazidi, Mohsen, Hong-Kai Gao, and Andre Pascal Kengne. “Inflammatory Markers Are Positively Associated with Serum Trans-Fatty Acids in an Adult American Population.” Journal of Nutrition and Metabolism 2017 (July 11, 2017): 1-6. doi:10.1155/2017/3848201. Nakanishi, Yuko, Koichi Tsuneyama, Makoto Fujimoto, Thucydides L. Salunga, Kazuhiro Nomoto, Jun-Ling An, Yasuo Takano, Seiichi Iizuka, Mitsunobu Nagata, Wataru Suzuki, Tsutomu Shimada, Masaki Aburada, Masayuki Nakano, Carlo Selmi, and M. Eric Gershwin. “Monosodium Glutamate (MSG): A Villain and Promoter of Liver Inflammation and Dysplasia.” Journal of Autoimmunity 30, no. 1-2 (February/March 2008): 42-50. doi:10.1016/j.jaut.2007.11.016. Harte, A. L., M. C. Varma, G. Tripathi, K. C. Mcgee, N. M. Al-Daghri, O. S. Al-Attas, S. Sabico, J. P. Ohare, A. Ceriello, P. Saravanan, S. Kumar, and P. G. Mcternan. “High Fat Intake Leads to Acute Postprandial Exposure to Circulating Endotoxin in Type 2 Diabetic Subjects.” Diabetes Care 35, no. 2 (January 16, 2012): 375-82. doi:10.2337/dc11-1593. Herieka, Mohammed, and Clett Erridge. “High-fat Meal Induced Postprandial Inflammation.” Molecular Nutrition & Food Research 58, no. 1 (July 12, 2013): 136-46. doi:10.1002/mnfr.201300104. Eisenberger, Naomi I., Tristen K. Inagaki, Nehjla M. Mashal, and Michael R. Irwin. “Inflammation and Social Experience: An Inflammatory Challenge Induces Feelings of Social Disconnection in Addition to Depressed Mood.” Brain, Behavior, and Immunity 24, no. 4 (January 4, 2010): 558-63. doi:10.1016/j.bbi.2009.12.009. Peri, Sateesh, Asmita Kulkarni, Felix Feyertag, Patricia M. Berninsone, and David Alvarez-Ponce. “Phylogenetic Distribution of CMP-Neu5Ac Hydroxylase (CMAH), the Enzyme Synthetizing the Proinflammatory Human Xenoantigen Neu5Gc.” Genome Biology and Evolution 10, no. 1 (December 30, 2017): 207-19. doi:10.1093/gbe/evx251. Li, Duo, Alice Ng, Neil J. Mann, and Andrew J. Sinclair. “Contribution of Meat Fat to Dietary Arachidonic Acid.” Lipids 33, no. 4 (August 1998): 437-40. doi:10.1007/s11745-998-0225-7. Harizi, Hedi, Jean-Benoît Corcuff, and Norbert Gualde. “Arachidonic-acid-derived Eicosanoids: Roles in Biology and Immunopathology.” Trends in Molecular Medicine 14, no. 10 (September 4, 2008): 461-69. doi:10.1016/j.molmed.2008.08.005. Xu, Hui, Suyun Li, Xingxing Song, Zongyao Li, and Dongfeng Zhang. “Exploration of the Association between Dietary Fiber Intake and Depressive Symptoms in Adults.” Nutrition 54 (March 21, 2018): 48-53. doi:10.1016/j.nut.2018.03.009. I apologize for being MIA lately. 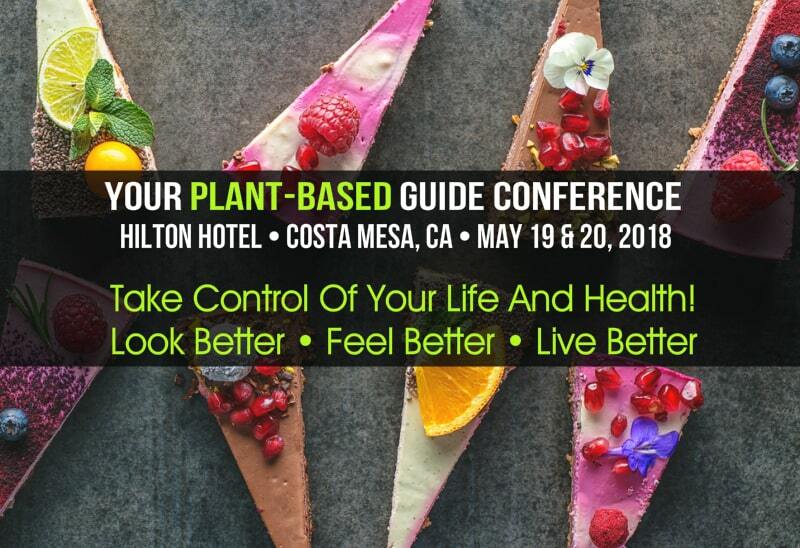 I’ve been putting in grueling hours to make Your Plant-Based Guide Conference a truly life-changing experience for everyone who attends and I literally haven’t had time for anything else … including sleep. LOL!. However, I did promise to speak at a very worthwhile and important event this month – the Herbivore Festival in Yucaipa, California. 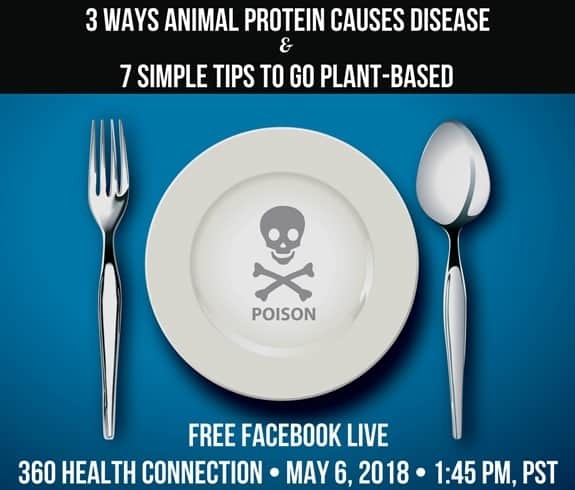 So, I will be there tomorrow to share the top Three Ways Animal Protein Causes Disease and Seven Simple Tips To Go Plant-Based, and I hope to meet you in person at the festival! For those of you who live outside of the Southern California area, or who have other plans and can’t make it, I’ve decided to stream live on Facebook, so you won’t have to miss out on any of this valuable, and potentially life-saving information. YAY! Tune in tomorrow to the 360 Health Connection Facebook page, to watch the full 45 minute, plant-based presentation plus a 15 minute Q & A period. I’ll be taking the mic at 1:45 pm, PST. Click Here to reach 360 Health Connection on Facebook. And, if you miss it live, no worries. You can still watch the replay of the video on my Facebook business page. Please note that if you ask any questions in the Facebook comment section, I won’t be able to see them and answer until tomorrow evening. 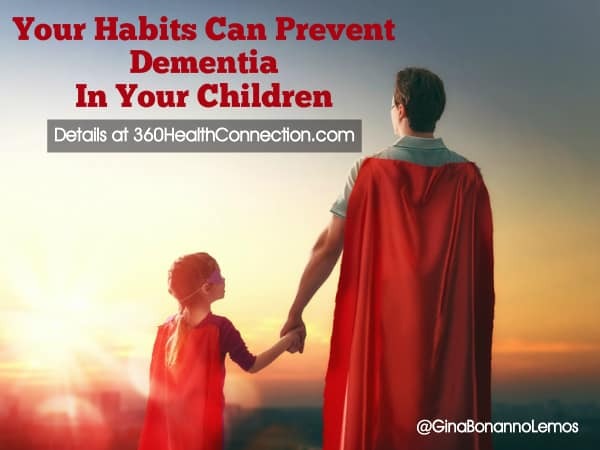 Recently, important epigenetic findings were published which show how our daily habits affect our brain function as well as our biological age, which can differ quite a bit from our chronological age. And, these same habits also affect your children and their health. The first study was that of male mice who took part in regular exercise for a 10-week period and were exposed to brain stimulating activity. Researchers found that these two lifestyle activities produced tags on the DNA of the mice – tags which reduce their risk of developing neurodegenerative diseases such as Alzheimer’s and dementia. In addition, brain cell connections improved in these mice, actually increasing their learning capability(1). As exciting as these findings were, the most significant discovery came when scientists tested their offspring. Tests showed that the positive effects had actually been passed on to the babies via a molecule in sperm called RNA, and that their offspring had retained the same epigenetic markers. Further testing revealed that their offspring was not only less likely to develop neurodegenerative diseases such as dementia, but they also scored higher in cognitive function tests as compared to the offspring of control mice who had not been exposed to exercise or brain stimuli. Another study, published just today, confirmed that internal inflammation and increased levels of fatty acids in the blood actually cause epigenetic aging(2). This means that when we eat fatty foods and foods that cause internal inflammation, such as animal-based food, fried, and processed food, we are aging our DNA. Subsequently, your DNA, and all accumulated markers are then passed down to future generations. Benito, Eva, Cemil Kerimoglu, Binu Ramachandran, Qihui Zhou, Tonatiuh Pena, Vincenzo Capece, Gaurav Jain, Susanne Burkhardt, Roman Stilling, Dieter Edbauer, Camin Dean, and Andre Fischer. “RNA-dependent Intergenerational Inheritance of Enhanced Synaptic Plasticity after Environmental Enrichment.” April 10, 2018. doi:10.1101/178814. Irvin, Marguerite R., Stella Aslibekyan, Anh Do, Degui Zhi, Bertha Hidalgo, Steven A. Claas, Vinodh Srinivasasainagendra, Steve Horvath, Hemant K. Tiwari, Devin M. Absher, and Donna K. Arnett. “Metabolic and Inflammatory Biomarkers Are Associated with Epigenetic Aging Acceleration Estimates in the GOLDN Study.” Clinical Epigenetics 10, no. 1 (April 18, 2018). doi:10.1186/s13148-018-0481-4. 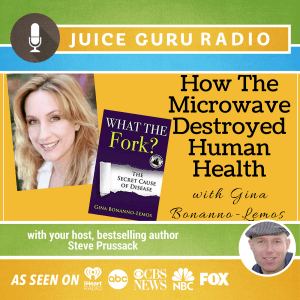 Want To Find Out How You Can Prevent And Reverse Disease? 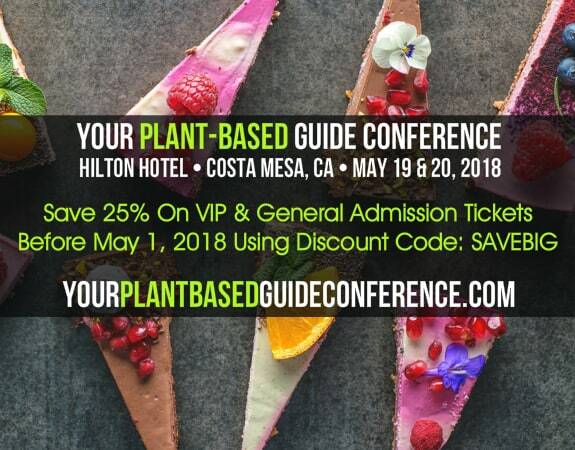 Grab Your Tickets To Your Plant-Based Guide Conference Before The Discount Ends! 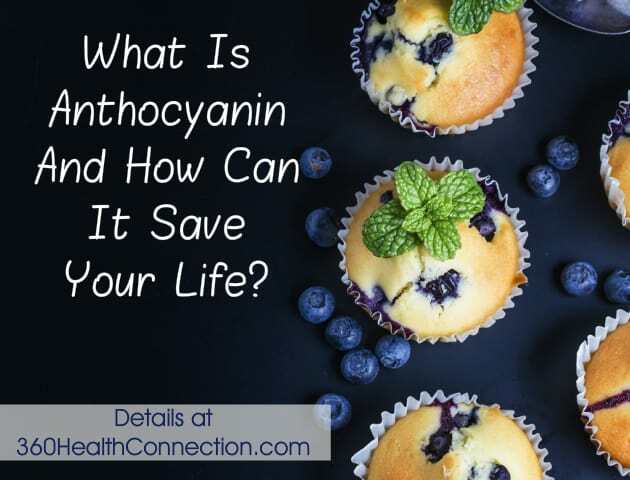 What Is Anthocyanin And How Can It Save Your Life? Anthocyanin is a type of phytonutrient that can only be found in deep red, blue, and purple-colored plant foods such as beets, purple potatoes, blueberries, and other fruits and vegetables with similar, rich colors. Phytonutrients are directly responsible for the prevention and reversal of disease and illness. When you ingest anthocyanin, your cytokine levels increase. This is important for your immune system because cytokines are molecules which help cells communicate in your body, to stimulate your immune system when you’re suffering from internal inflammation, disease, or an infection. Anthocyanin produces what is known as an estrogenic effect. This means that they help to regulate your production of estrogen – a hormone that is often involved in the development of disease when there is too much or too little in your body. As mentioned above, anthocyanins have anti-inflammatory properties. Since we now know that internal inflammation is the basis for all disease, these phytonutrients are essential in the prevention and reversal the most life-threatening health issues of our time. They’re also crucial in the prevention and reversal of life-altering afflictions such as arthritis, and other maladies rooted in inflammation. Studies show that the consumption of anthocyanin improves vision by restoring a protein called rhodopsin. This protein, which is found in the retina, is responsible for converting light into electrical signals. It has also been found that anthocyanin can enhance vision by repairing photoreceptor cells. This is done by suppressing pro-inflammatory molecules(2). Anthocyanin has been proven to improve memory and motor function, and to also reverse symptoms of age-related memory and motor function decline. When added to a high-fat diet, anthocyanin reduces sugar and insulin levels and prevents the secretion of excess leptin in the body – a hormone that stimulates your appetite and results in increased body fat when levels are high. In addition, the consumption of anthocyanin has been shown to reduce swelling of the pancreas – an organ that is directly involved in the prevention or development of diabetes. In addition to the anti-inflammatory effects of anthocyanin, these vital phytonutrients protect you against the initiation and metastasis of cancer in several ways including the way in which they work ward off oxidative stress (a sort of internal rusting in your body) and repair damaged DNA. Anthocyanin also blocks specific pathways (a term used to describe certain changes to proteins, enzymes, etc…) that lead to the inception and proliferation of cancer. Consuming anthocyanin compounds is believed to prevent and reverse diseases of the cardiovascular system by protecting your body and cells from oxidative stress and initiating the release of nitric oxide in your body to relax the walls of blood vessels, so that there is more room for blood to flow where it’s needed. Anthocyanin is also responsible for strengthening your capillary walls and preventing the formation of platelets which can cause clots in your arteries and lead to a major cardiac event. In fact, a study of women performed in the United Kingdom showed that anthocyanin intake reduced the risk of heart attack by 32 percent(3). This is very exciting news, considering that heart disease remains the number one cause of death in the United States, with women outnumbering men in the statistics. Lin, Meng-Liang, Yao-Cheng Lu, Jing-Gung Chung, Yi-Chen Li, Shyang-Guang Wang, Sue-Hwee Ng, Chia-Yin Wu, Hong-Lin Su, and Shih-Shun Chen. “Aloe-emodin Induces Apoptosis of Human Nasopharyngeal Carcinoma Cells via Caspase-8-mediated Activation of the Mitochondrial Death Pathway.” Cancer Letters 291, no. 1 (May 1, 2010): 46-58. http://www.ncbi.nlm.nih.gov/pubmed/19942342. Miyake, Seiji, Noriko Takahashi, Mariko Sasaki, Saori Kobayashi, Kazuo Tsubota, and Yoko Ozawa. “Vision Preservation during Retinal Inflammation by Anthocyanin-rich Bilberry Extract: Cellular and Molecular Mechanism.” Laboratory Investigation 92, no. 1 (September 05, 2011): 102-09. doi:10.1038/labinvest.2011.132. Cassidy, Aedín, Kenneth J. Mukamal, Lydia Liu, Mary Franz, A. Heather Eliassen, and Eric B. Rimm. “High Anthocyanin Intake Is Associated With a Reduced Risk of Myocardial Infarction in Young and Middle-Aged WomenClinical Perspective.” Circulation 127, no. 2 (January 14, 2013): 188-96. doi:10.1161/circulationaha.112.122408. Want More Life-Saving Nutrtiton Information? 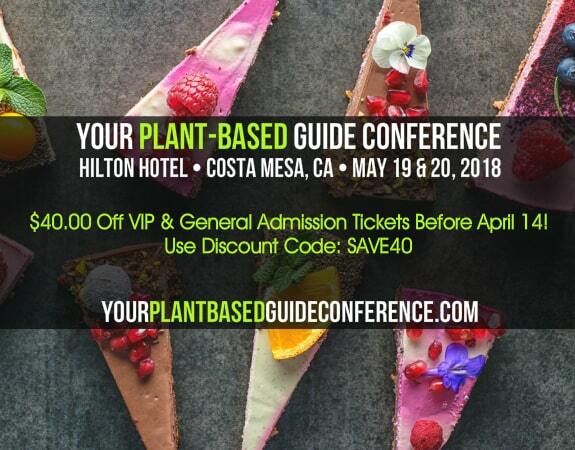 Join Us At Your Plant-Based Guide Conference and save $40.00 for a limited time! Change Your Life! Live Your Passion And Purpose!